It's always great to have somewhere not far from home on your wishlist of places to visit. One place I've been wanting to spend a summer is the island of Gotland, off Sweden's east coast. 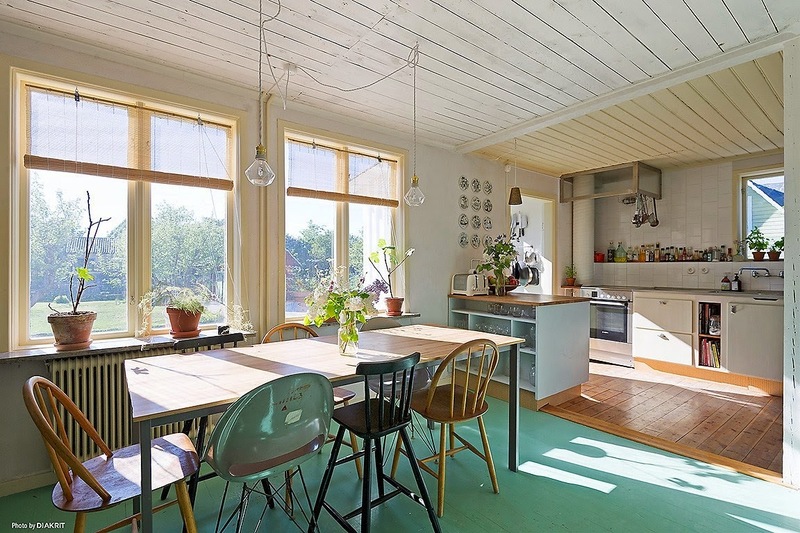 I've featured many extremely cool houses from the island before (see this, this and this space - oh so fabulous). 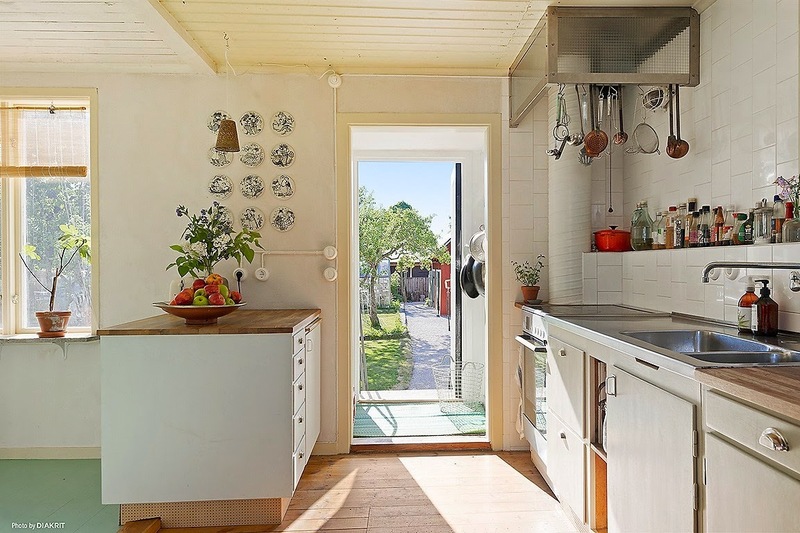 And today I came across this cute home (and guest house) currently for sale in the island's capital of Visby. The decor is slightly unusual with the green floor, yellow ceiling and red pipes but there's something about it that warmed my heart this overcast Wednesday morning.....how about you? 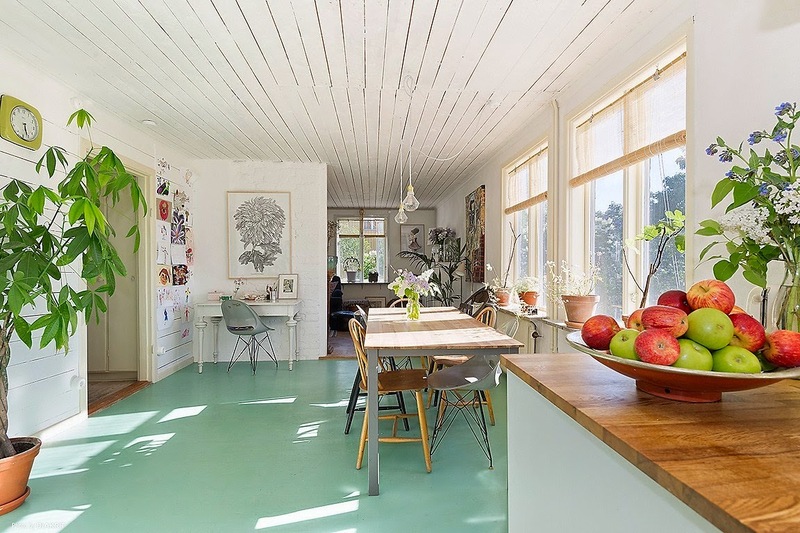 I'm loving the dining space with it's green floor (do you remember this kitchen with the green floor?) 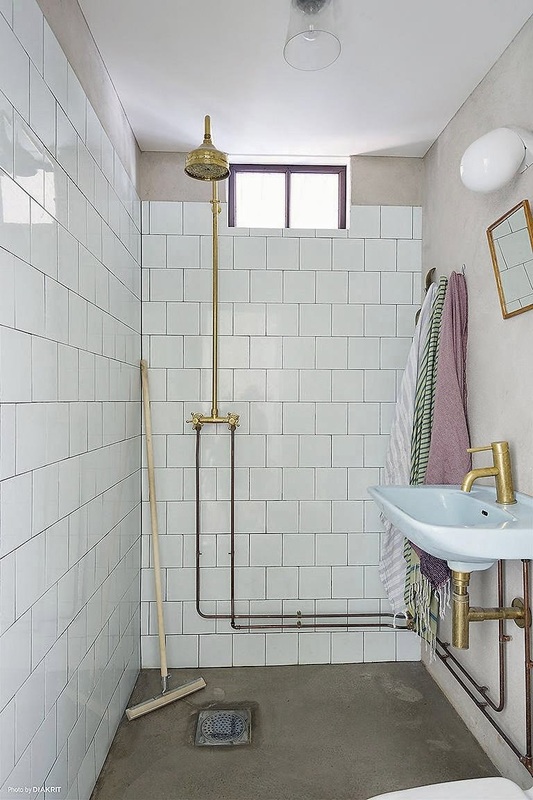 and eclectic mix of chairs and the shower - copper + pink is always a winner in my eyes. 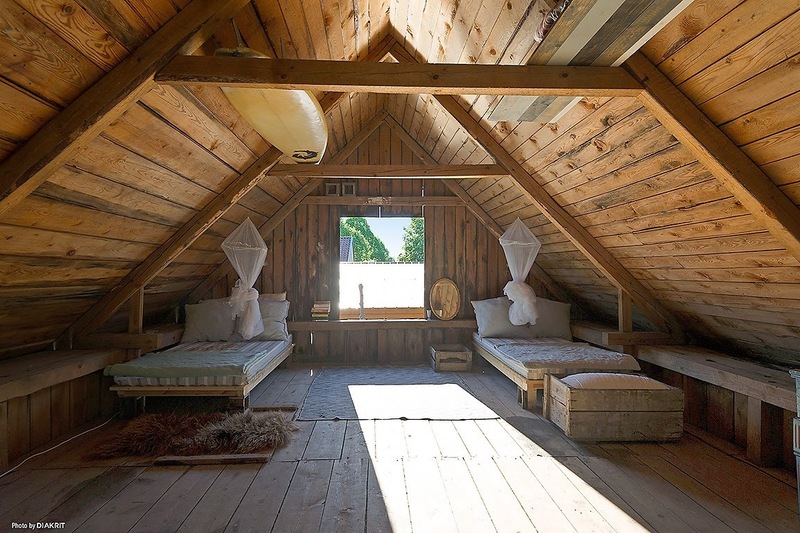 And I'm sure I could spend a weekend in the guest 'eaves'. How about you? I do love to dream over holiday destinations don't you? One of the key things for me is staying somewhere fabulous whether it means low key surf shack or luxury resort. In case your idea of paradise is somewhere warmer and further afield than Gotland how about one of these places?! Another place I have always wanted to visit is Giraffe Manor in Nairobi - where giraffes stroll around the garden and peer through your bedroom window - imagine that?!! Dream on...and have a lovely day!